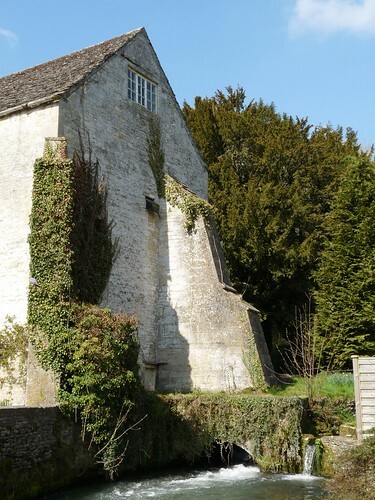 Take a short walk along the banks of the River Coln at Bibury Court Hotel and you will soon come to a gorgeous old stone bridge beside a weir where willow trees cast their shade over the shallow but crystal clear trout stream. 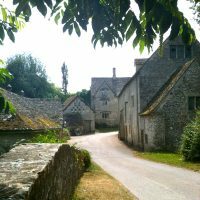 Across the bridge is a jumble of honey coloured stone houses including an old water mill (not to be confused with the famous Arlington Mill in Bibury village). Now fallen into disuse the old mill seems to be totally integrated into the verdant foliage that surrounds it and is reminiscent of a Constable oil painting. The setting is idyllic and the sounds of nature on a summer’s day make it the perfect get-away-from-it-all spot – until the draw of a cream tea back at Bibury Court Hotel calls you back to reality! This really is the ideal place to truly look around at the wonders of the natural world and see the beauty of the world we live in and to treasure every moment.